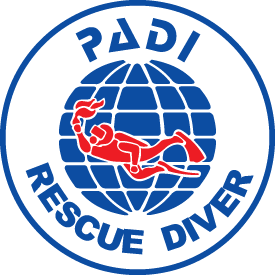 I am happy to say that with Aqua Hut's help, this spring I earned my PADI Rescue Diver certification. I feel really good about this achievement, for two reasons. First, I believe it has made me a better, more conscientious, confident diver. Second, I feel like I'm really participating in the SCUBA experience. It was all challenging and rewarding. Besides all the skills I learned, my biggest take-away was about preparedness BEFORE a rescue is even necessary. The idea of being able to spot and correct a small situation before it becomes a more urgent situation, really resonated with me. If you're not ready for Rescue Training, I highly recommend everyone getting some First Aid/CPR training. You never know when you may need it.